Wow! The Araxie earrings are real stunners. 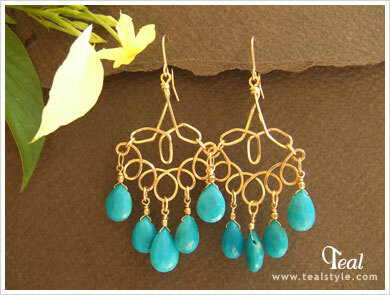 Rare intense blue Arizona turquoise 14K goldfilled chandeliers. This design is one of a kind.